Perception is a powerful thing. At Natural England, we have a responsibility to make sure that our most special wildlife and geological areas – known as Sites of Special Scientific Interest (SSSI’s) – are being protected. The perception here is that we’ll stop these sites from being damaged – and for most part, we do. But, there are some sites that buck that trend and, strangely enough, we actually want them to fall apart. “Sheppey Cliffs and Foreshore” is one of those cases. 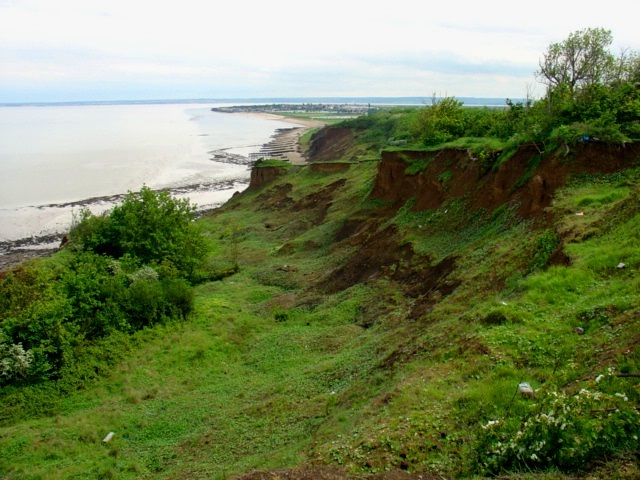 It’s the official title for a 2.5 mile stretch of cliff line on the north of the Isle of Sheppey in Kent. It’s protected as a geological SSSI because of the soft rocks the cliffs are made of. The coast line is being eroded and every so often the cliff will slip down onto the shore to be worn away by the sea. On the surface of it, that doesn’t sound good. But, in reality, when the cliff slips it uncovers more rocks behind it, possibly new fossils, and a new surface for plants to invade. It was made a SSSI to allow it to naturally “fall apart” so we can learn more about how it works and what happens next. So what happens if a group of residents who live on top of a part of that cliff then ask if they can slow down the cliff from slipping into the sea to buy them more time to live there? That’s where it gets a bit tricky. The solution was a mixture of soul searching on what we wanted for the site and lots of asking questions – but more importantly, lots of listening. Eventually we got to an answer which we may not have done with the initial perceptions, both mine and theirs. My team received the request from the group and our initial thoughts were that it was against what the SSSI is set up for. Our natural next step was to ask for more details, more plans, and a strategy. The residents later told me that this was clearly received with the perception that we were saying ‘no’. When looking at how we could resolve the issue, the first thing I did was pick up the phone. I listened to the residents' frustrations and put myself in their shoes. I then asked myself some questions – what’s proposed? What’s the impact? Where are the essential bits of the plan? What’s concerning my colleagues? Having gathered the information I needed without the usual engineers’ diagrams or cost in setting them up, I had a choice to make and I had to put it in context. The plans affected an area of 0.5 per cent of the whole cliff line; the halt could be up to 10 years. That’s temporary in the context of thousands of years in the lifetime of the cliffs. I travelled to the cliffs, looked at them myself, and met with the local residents. I talked them through the internal challenge we had been through. Over a few cups of tea, we listened to each other’s stories and we dispelled some perceptions. They thought we’d been stalling them and I thought they didn’t care about the wildlife surrounding them. We were honest about what success looked like and where our concerns were, and in the end we came up with something that would work for both of us. Yes, that would mean stopping the slippage for a time and some of the temporary plants will be matted over, but the bits we wanted kept won’t and it won’t affect the overall SSSI. A week later the residents got their permission and they are working on their plan now. We should have talked face to face quicker, we should have told them what we were thinking as we went along, yes, but we got there. I’ll take that experience into the next challenge I face and try to drop the perceptions more quickly to get to an agreeable answer. After all, we all know not to judge a book by its cover. Mick Oliver is Natural England's Area Manager for Kent and Sussex.